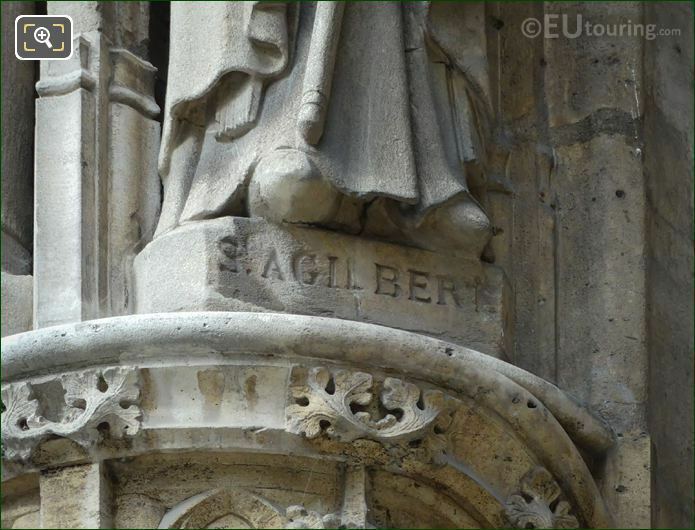 We were in the 1st Arrondissement of Paris at the Eglise Saint-Germain l'Auxerrois, when we took these high definition photos showing a statue depicting Saint Agilbert, which was sculpted by Louis Desprez. 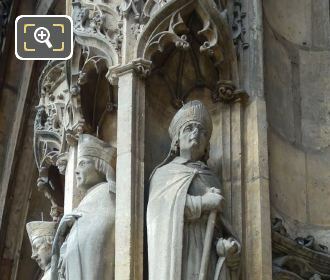 This first HD photo shows a statue of one of the many saints that decorate the facade of the Eglise Saint-Germain l'Auxerrois, which made of stone to represent Saint Agilbert between the years 1841 and 1842 during the restoration of this historical church, that was once the parish for the kings and queens of France. The Saint Agilbert statue was sculpted by Louis Desprez who was born in Paris in 1799 and studying at the Ecole des Beaux Arts to become a French sculptor, he won the Prix de Rome in 1826 meaning that he could further his studies at the Villa Medici in Rome, which led to numerous commissions for statues and sculptures. Now Louis Desprez worked for many different tourist attractions in Paris including several churches like this one and the Eglise de la Madeleine, plus famous places such as The Louvre, and for the Eglise Saint-Germain l'Auxerrois he produced several of the saint statues. 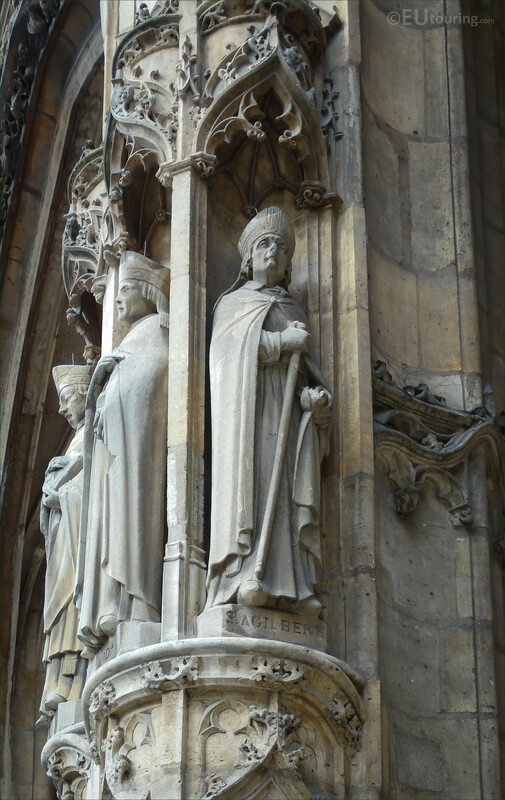 So this photograph shows the name St Agilbert inscribed on the pedestal base of the statue, and he was a bishop that studied in Ireland and was an active missionary trying to replace Celtic customs with those of Roman, who is sometimes referred to as the Bishop of Wessex. 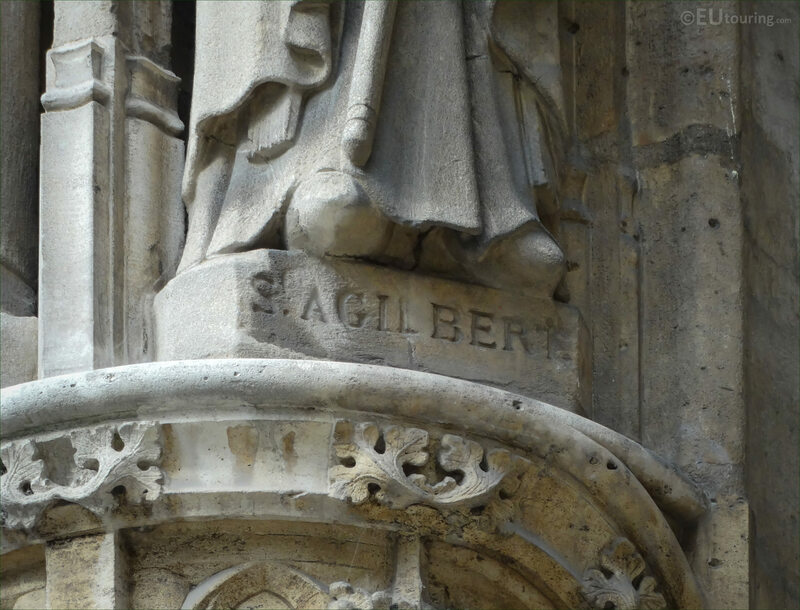 Yet later he returned to his native country of France and Saint Agilbert became the Bishop of Paris in 668 and in Roman Catholic religion his feast day is 11 October, although his exact date of passing is unknown, as the last record for him was in 673 AD.